We learn from history, or at least we hope to try. 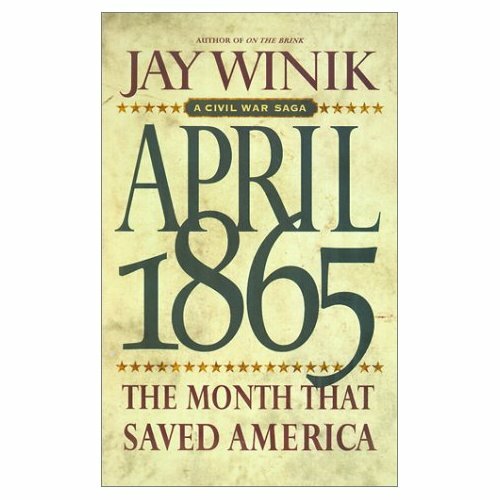 Having recently seen the movie “Lincoln” currently playing in theaters, I felt compelled to learn more and so picked up a copy of Jay Winick’s book, April 1865: The Month That Saved America. Amazing, with the complexity of all the pieces that were converging at that point in time in our history, the outcome could have been one of many. But Abraham Lincoln with a quiet brilliance helped mold the ending days of a civil war into one of the most epic events in our history, and what emerged from those tumultuous times was a new start for the greatest nation on earth. The book takes poetic license in some sections of the story, but all the more riveting as the reader attempts to put him or herself into Lincoln’s shoes and of those all around him and almost live and breath those moments in time. This book brings the past alive in a way I’ve never experienced in reading a book of a historical nature ever did before. When they say today is the first day of the rest of your life, it is true, you never will know which day in your life may be the pivotal moment that changes your life course forever. Only in retrospect can you know for sure, and so the hope is that each thing you do every day, no matter how big or small, is something of such value that will make a positive difference in the universe. I’d love to hear your story of a moment that changed your life; please write me a comment. This entry was posted in General Comments and tagged Abraham Lincoln. Bookmark the permalink. Now you’ve piqued my interest to go see this movie! Joining Toastmasters was a moment that changed my life. I had to overcome my fear of public speaking because it was a skill I needed in my career. Being able to start small and speak to larger and larger groups was very helpful. I still get butterflies, but I can get on a stage and speak to a group of 500 people. What a difference! Thanks for sharing your Toastmasters story. As you may know, Northeast Delta Dental hosts a Toastmasters group on our campus in Concord. 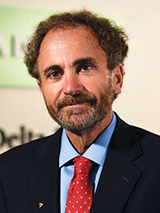 I have witnessed many Delta Dental colleagues grow through this program, and their experience and story is similar to yours. Congratulations Marcia. Keep it going!